Denver, Colorado was recently the scene of another terrific Western District Annual Meeting. Thank you to Nate Larson and Will Johnson for your leadership and thanks to all the hard working members of the Local Arrangements Committee. All of us who attended enjoyed your Rocky Mountain hospitality and I extend my gratitude to you for the great kickoff to my year as president. After I was sworn is as president in Denver, I spoke about some of my interests and priorities for the coming year. Then I said, “But, you have to play the hand you’re dealt.” Allow me to elaborate on what that statement means to me. Economic hard times have impacted the majority of our members, and firms continue to cut back on the amount of money that they spend on memberships, conference travel, and advertising. This has and will impact the way the District is organized, and how we operate. So in spite of many ambitious ideas that I may want to pursue, I know that in our current situation my year as president will largely be focused on navigating the District through these uncharted waters. This is the hand I was dealt, but don’t get me wrong; my statement is by no means pessimistic or a sign of resignation. I see our situation as a challenge – with adversity comes change and with change there is opportunity! Financial Management Practices. We will be evaluating options and implementing changes to improve the way we handle the District’s substantial budget and invested assets. The Board will be initiating a regular program of audits and third-party reviews of our financial management, and we will be considering the adoption of an investment policy to guide how we manage the significant balances in cash reserves and the Student Endowment Fund. WesternITE. 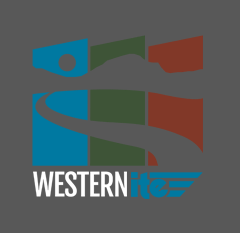 This year we will implement a transition from the traditional printed version of the WesternITE newsletter to an interactive, web-based delivery. While we may still deliver a printed newsletter on some occasions, we are making this change to both improve the timeliness of the newsletter and to offer enhanced interactive features that our members expect. We are also making this change because of the significant cost savings to the District. The major revenue source for the newsletter, advertising of professional services and positions available, has nearly disappeared and requires us to rethink the methods by which we organize, produce and deliver the newsletter. Strategic Plan and Membership Survey. Yes, we have a strategic plan. However; it has been five years since it was developed and it is time that it be reviewed and updated. The current version of the strategic plan, which can be viewed at www.westernite.org, sets goals in the areas of Student Initiatives, Career Development, Technical Excellence, Social/Networking and Promoting the Profession. We will soon be sending out a survey to get members’ input on the strategic plan and to answer a couple of basic questions: how are we currently doing, and what should we be doing in the future? The Board will consider this input at our mid-year board meeting and report back to the membership next summer at the annual meeting in San Francisco. I am proud to be your president for the next year. Thank you for the opportunity, and I will work hard to serve you well. This year as I travel and visit many of you at your local section meetings, I will be asking for your input on these and other issues, but at any time if you have comments or concerns please email me at msanderson@sandersonstewart.com.